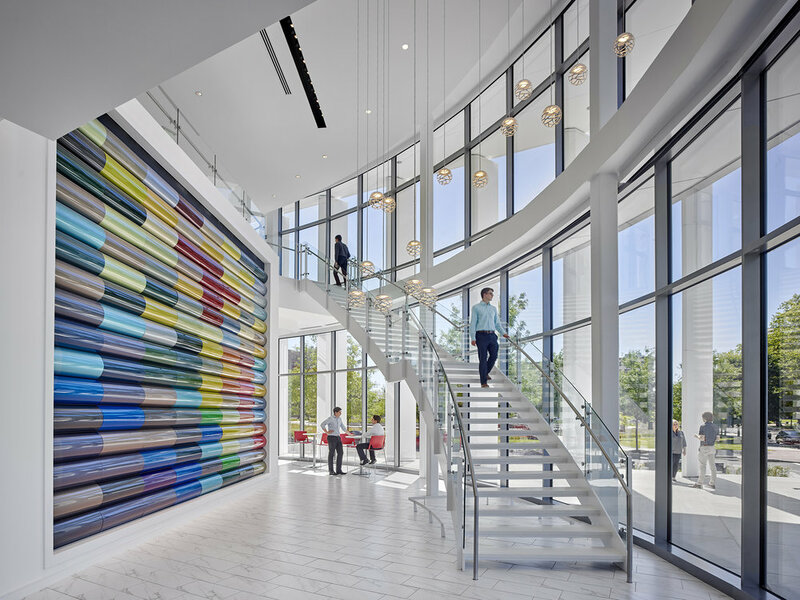 Laboratories organized around a central, shared Applications area provides efficient research and testing capabilities for this global coatings company. 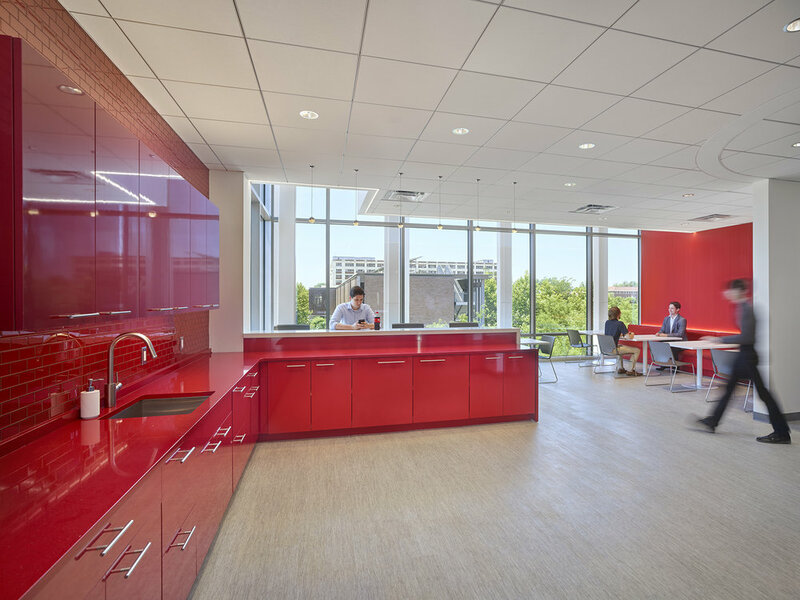 The Global Innovation Center is Axalta’s main R&D facility, located in Philadelphia’s Navy Yard. 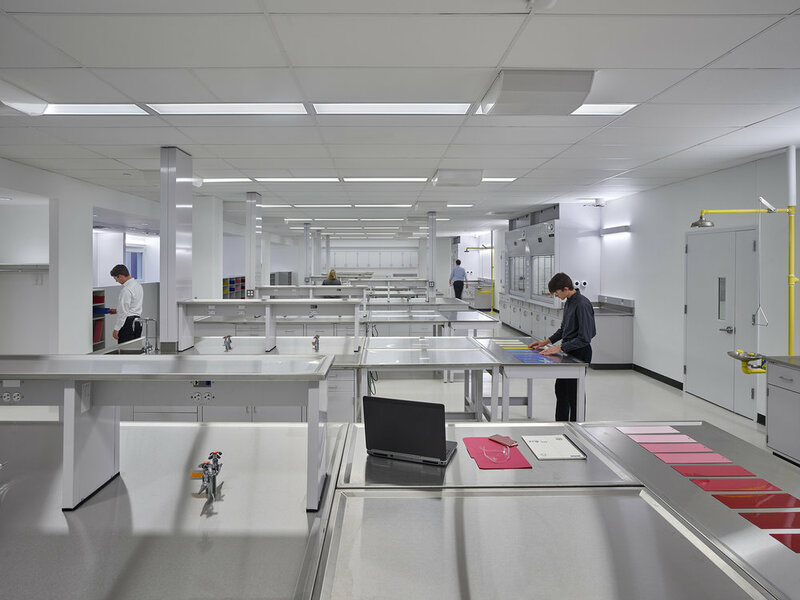 The Center is comprised of flexible laboratory space surrounding a shared Applications area with multiple spray booths for test sample painting. Raw material and in-progress work are kept safe in a series of satellite storage rooms that support each laboratory. Offices line the perimeter, and a large assembly space for meetings and client events greets visitors near the main entrance. A central utility plant provides steam, chilled water, and compressed air for the building. Photography by Halkin | Mason Photography.